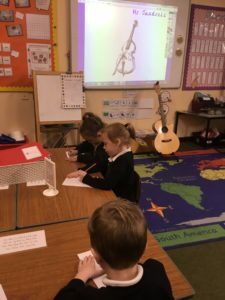 As part of Class 2’s music this term, we having been discussing the difference between listening to live and recorded music. 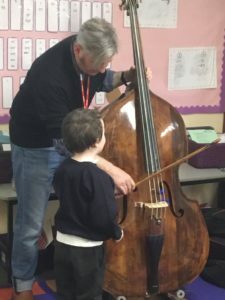 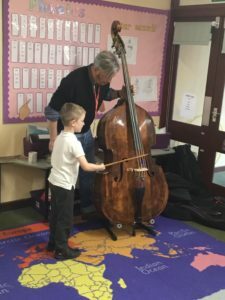 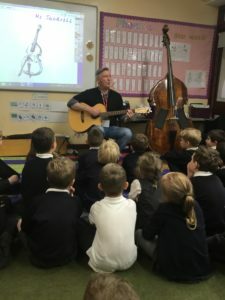 Today Mrs Hartland kindly arranged for Mr Jandrell (our school guitar teacher) to visit and to bring in his guitar and a double bass. 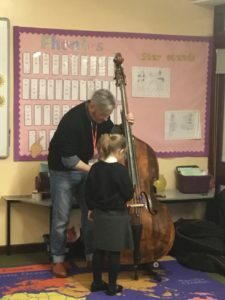 We learnt the different parts of a double bass, the different sounds we can make and we all had a go at playing it. 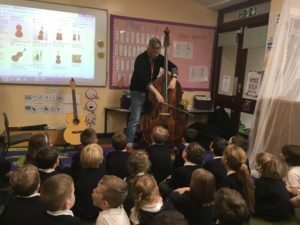 We also had an opportunity to listen to both the guitar and double bass live! 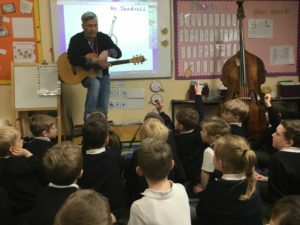 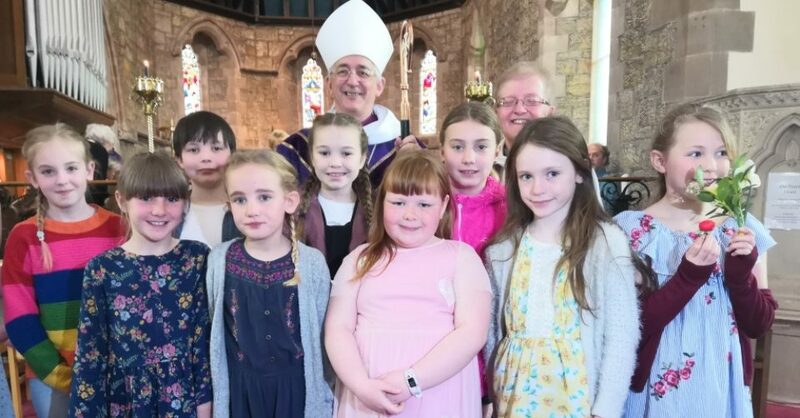 By ClassBlogger in Class 2 blog on April 5, 2019 .